MAT The Basics Optima Area Rug - Coral - Swatches may be available. Hand Tufted. Contemporary. 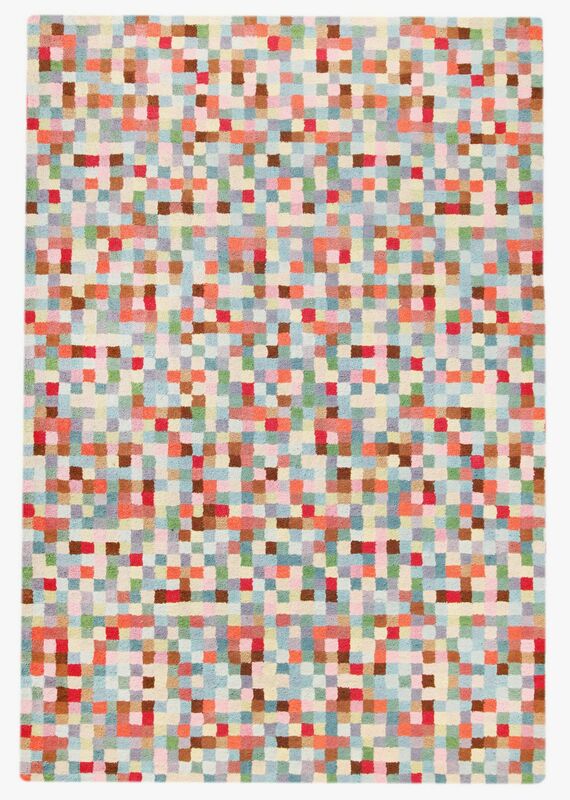 Pleasing abstract pixilation's using a multitude of colors makes the Optima collection our most fun floor covering of all. 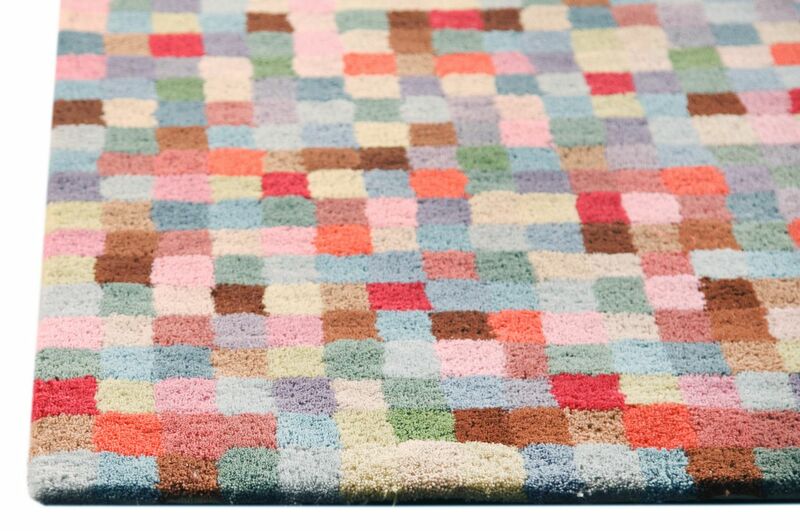 Bold and vibrant, this rug demands the attention of any who wander by. A true conversation piece of the room, this hand-tufted, pure wool rug is meticulously crafted. Available in several color choices and sizes to accommodate your design tastes. Hand Tufted with 90% Wool, 10% Cotton. Pile height is 0.5 inches. Made in India. 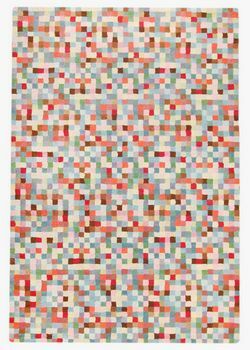 MAT The Basics Optima Area Rug - Coral 5'6"x7'10"
MAT The Basics Optima Area Rug - Coral 8'3"x11'6"